We are going to quiz you about Assam, our motherland. To know about one's own motherland is not only a quality but an absolute neccessity. I am sure most of you will find the questions too easy to answer, but for some it may need some digging. That precisely is the objective of this Quiz. We want you to delve into the various topics while trying to get the answer, and in the process develop knowledge about our motherland. So let us start a journey to re-discover our motherland, ASSAM. Kids, I am sure you will find it very interesting. Parents, My suggestion to you is not to divulge the answer to your kids so easily. Let them dig out the answers themselves. This is a journey of Discovery. Its best to let them embark on the journey themselves. Please do submit your photograph alongwith your answers. We shall publish names/pics of each correct entrant. Located at the heart of Guwahati and adjacent to the Judges' Field, this Club is committed to promote sports and sportspersons. This historical and prestigious institution has completed one hundred years of its glorious and fruitful existence. It is one of the oldest and the premier sporting organization in the north-east blessed with the rare distinction of being a pioneer of Indian Clubs and being considered as a 'State Institution'. This club was essentially instrumental in introducing the coveted Bordoloi Trophy Football Tournament, initially played at the Judges' Field from 1952 to 1957. Over the years the Club have had the patronage and blessings of illustrious individuals in the person of Dr. Sarvapalli Radhakrishana and Fakhruddin Ali Ahmed the then President of the Replublic of India, Saiyid Fazl Ali the then Governor of Assam, Sri Saiyid Saadullah, Lokapriya Gopinath Bordoloi the first Chief Minister of Assam and a host of other distinguished luminaries. Name this famous Club of Assam? Q2A. Identify this common bird from Assam? Q2B. Identify this common bird from Assam? This magazine was launched in December 1981 when the anti-alien Assam agitation was at its peak. Renowned litterateur, playwright and filmmaker Late Dr Bhabendranath Saikia was its founder chief editor and its publisher Pradip Baruah was its editor. It's columns like Seshpristha, Doinandin , Sampadakia(editorial) , Galpa(story) , Dharabahik Upanyas (serial novel), Krirangan ,prakriti, Bhraman , and evry other columns are equally loved by the people of Assam. And they have immensely influenced in collective decision making of the Assamese community living across Assam and the world . Q2A. Identify this Shiva temple located in Guwahati and constructed by Ahom king Rajeshwar Singha along with a gift of land 835 bighas for the Ashram. Q2B. It is called Yarlung Zangbo or Yarlung River that originates upstream from the South Tibet Valley. Downstream it flows into Assam. Name this River? He was a Sufi Syed, poet, Muslim preacher and saint from the 17th century who came from Baghdad to settle in the Sibsagar area of Assam in the north-eastern part of India, where he helped to unify the people of the Brahmaputra valley and to reform, reinforce and stabilize Islam in the region of Assam. He is particularly known for his Zikir and Zari, two forms of devotional songs, that draw from local musical traditions and have striking similarities with borgeets of Srimanta Sankardeva, the 16th century saint-scholar from Assam. His dargah is at Sahaguri Chapari near Sibsagar town. Who is this great saint? Q2A – Identify this famous landmark building of Guwahati? Q2B – Identify this famous temple from Assam? 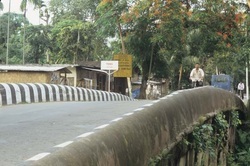 This historic bridge located a few kilometers away from Sibsagar town in Assam, India. It was constructed in 1703 by craftmen brought from Bengal during the reign of Ahom king Rudra Singha. The bridge is 60 m long (196.85 ft), 6.5 m wide (21.32 ft) and 1.7 m high (5.57 ft). It runs over the Namdang river, a tributary of the Dikhou river. The present National Highway 37 is passing over it. What is unique about this bridge? Q2A. Name this common fish from Assam? Q2B.Name this common fish from Assam? ‘Sanchi Paat’ was the writing material used in Ancient times in Assam. To write on Sanchi Paat a special kind of water proof ink was used, prepared with local products such as Silikha Seed, Kehraj (a type of grass),ashes and minerals and applied with the help of bird’s feather. This Sanchi paat is now so rare that it is hardly found in Xatras temples and most manuscripts are part of private collections. Kolong Kala Kendra, a socio-cultural organisation of Nagaon, established in 2000, works for the preservation of these rare manuscripts written on Sanchipaat. 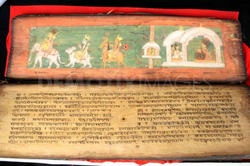 More than 200 such manuscripts are now available to see in the museum of Kolong Kala Kendra. What is the ‘Sanchi Paat’ made of? Q2A. Born 5th November’1988, in Guwahati he represented Assam Cricket team and is currently playing for Mumbai Indians. Identify him? Q2B. Identify this industry which is one of the oldest in the state of Assam. It is related to one of the most important resource of Assam. A multiple fall of a stony meteorite occurred, on March 2, 2001, in a place in Assam. 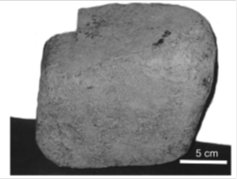 Several fragments weighing <2 kg and a single large fragment weighing 10.2 kg were recovered from the strewn field, which extended over several tens of square kilometers. It has been categorised as , a typical H5 chondrite. This meteorite has been named after the place in Assam, over which it fell. Q2A. 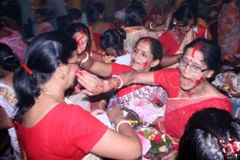 Identify this socio-cultural religious activity. Q2B. This was the first Coin issued in Assam during the 17th Century. 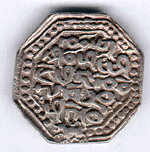 It can be described as a Octagonal Silver rupee, lion at bottom and some legend in the Ahom language. Name the king under whom this coin was issued. This airfield was constructed by the British Royal Indian Air Force during World War II in 1942. It was used by the United States Army Air Force Tenth Air Force as a B-24 Liberator heavy bomber base by the 7th Bombardment Group. After the war, it was subsequently developed into a full-fledged air force base in 1959. 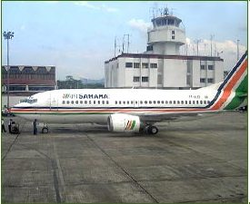 Since its inception, it has been one of the most active bases in the Northeast of India with a variety of fixed and rotary wing aircraft operating from here. The first aircraft that flew at this base were Vampires and Toofani 101 reconnaissance squadron. In fact, in the last 25 years, it was home to the IAF MiG-21 fleet which was used extensively to train rookie pilots for the Indian Air Force. The aircraft continues to serve the air force, operating from other bases in the Northeast. Name this airport as it is known locally? Q2A. 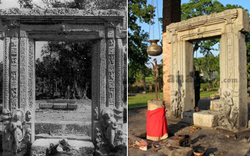 Identify the ruins of a famous door frame located in Tezpur Assam. Its carving is characteristic of the early Gupta School of Sculpture. Q2B. Identify the tribe performing their traditional dance. This was the first Assamese Language Magazine published from Sibsagar, Assam in 1846. This magazine created a new era in the world of Assamese literature and gave birth to notable authors like Anandaram Dhekial Phukan, Hemchandra Barua, Gunabhiram Barua and Nidhi Linai Pharowal. The magazine took the initiative of innovating the then Assamese dialect instead of borrowing words from other languages. The Assamese people got to know about the western world only through this magazine that opened the gate to the modern literacy in Assam. It mainly included various news related to current affairs, Science, astrology, history and also trivia although Christianity was its main aim. The publishing of the magazine came to an end when the printing press was sold in 1883. Name this first Assamese Language Magazine? Who was the first Editor? Q2A.Identify this famous Shiva temple of Assam? It is believed to be the tallest Shiva temple in India. Q2B. Identify this famous Assamese Film which won the National Film Award for best film in 1988. Name the director of this film. FM broadcasting is a broadcast technology that uses frequency modulation (FM) to provide high-fidelity sound over broadcast radio. How many FM Radio Channels are operating out of Guwahati? Give Names and Frequencies. 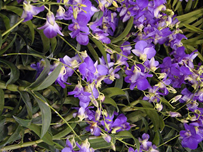 Q2A.Orchids are abundantly found in Assam. Identify this particular Orchid by its Assamese Name? Q2B. 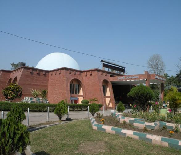 Identify this famous institution of Guwahati? Northeast India has the world's largest concentration of wild Asiatic elephants. About 5,000 are estimated to be in Assam state. Increasingly human encroachment and depletion of the forests have forced wild elephants to stray into settlements in search of food. 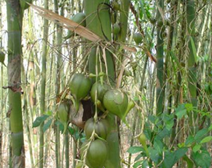 Conservationists working on the experimental project in Assam state said they have put up jute fences made of strong vegetable fiber and smeared them with a special product of Assam. This product is so strong that it has been successful in preventing marauding elephants from destroying homes and crops. This technique has even been reported in a National Geographic news item. Wildlife experts also were using smoke bombs made from this product to keep away elephants. Name this special product from Assam which is of such immense value? (Hint: this product has a Record registered in the Guinness Book of World Records). Q2A. Identify this famous Assamese Green vegetable which is very popular and is a regular on the Assamese palate. Q2B. Identify this plant (with red fruit) which is very popular and is regularly used to make ‘tenga jool’. The fruit is used for making jelly/jams. Tilinga Mandir, is a famous Shiva temple where many people visits every day. 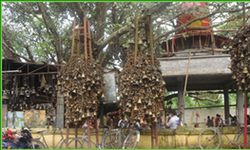 The devotees use to tie a tilinga (bell) at the branches of a giant peepal tree to fulfil their wishes. This temple is famous for the crores of bells hanging around it's campus. This temple of Lord Shiva, is symbolized by a huge Banyan (pipal) tree. It is belived that one may get his/her wishes fulfilled by offering a bell to this temple. Belivers hang the bells to the branches of the pipal tree and this is how the temple got its unique name. Where is this temple located in Assam? Q2B. 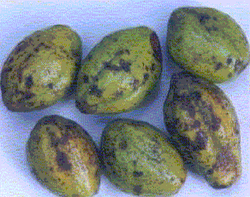 IDENTIFY THIS FRUIT (Considered to be a herbal medicine). Q1. 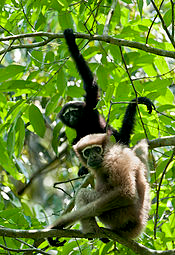 Located in Assam is the only protected area in India to be named after a primate species. This wildlife sanctuary is located in the south bank of the Great Brahmaputra river system in the Jorhat district of Assam. This sanctuary harbors seven species of primates in addition to several other species of animals. Recently, White-winged wood duck, a rare and engendered bird was sighted in the sanctuary by a researcher. Q2B. Name this well known tourist spot of Guwahati city? Q1. Railways first entered Assam in 1881 when a certain company began construction of a 65 km long meter gauge line for the sole purpose of transporting tea and coal. In 1882 this line was inaugurated which was a turning point in the Economical history of North East India. b)What name was given to this railway line? c)What are the termination points of this railway line (starting/ending point)? Q2A. Identify the activity. What is the man doing? Q2B. Name this famous water body right in the middle of Guwahati city? He was born in Guwahati in Kamrup District of Assam in 1877. He was educated in Cotton Collegiate School, Guwahati and Presidency College, Calcutta. He played a notable part in forming the Assam Branch of the Indian National Congress in 1921 and was elected its first President. When the Non-cooperation Movement was started, He took a leading part in it and he toured various parts of Assam carrying the message of Mahatma Gandhi. While Chairman of the Guwahati Municipal Board he established a Leper Asylum in Guwahati. He was a forceful orator and also an eminent writer. He served as a President of the Assam Sahitya Sabha, a premier literary organization in Assam at its Goalpara Session in 1927 and as President of the Assam Chhatra Sammelan in 1928. A commemorative Postage Stamp was issued by Govt. of India in 1977 in honor of this great son of India on the occasion of his birth centenary. 1A. Name this famous personality from Assam? 1B. By what name (sobriquet) was he popularly known as? Q2A. 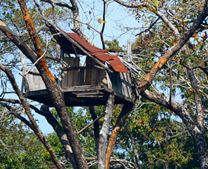 What is such a tree top house called in Assam? What is its use? Q2B. Name this majestic bird from Assam? Q1. Assam is home to the world's smallest and rarest wild animal. Bullet-shaped, standing just 25 cm tall, they were once widely found in the wet grasslands of the Himalayan foothills stretching from Uttar Pradesh to Assam, through Nepal terai and Bengal duars. Today they are confined to a few pockets along Assam's border with Bhutan and Arunachal Pradesh. The world conservation union (IUCN) has accorded the highest priority rating (Critically Endangered) for this animal, which is also listed in Schedule I of the Indian Wildlife (Protection) Act. In 1961, it was believed that this species had gone extinct. The animal was rediscovered in 1971 in Assam leading to renewed efforts to save the population of this rare animal species. This animal isalso more endangered than the tiger ! Only 150 animals survive in Assam. Q1A. Name the species / animal (showed in the photographs)? Q1B. Name the National Wildlife Park in Assam, where it can still be found? Q2A. What is the man doing? Identify the Activity. Q2B. Name this beautiful bird from Assam? 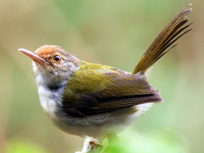 (Give Assamese Name) This bird has also got an assamese idiom against its name because of one of its characteristics. Can you tell the assamese idiom? Look at the Statue of the Assamese Lady with her companion on the left. The year was 1942, and Gandhiji had given the call for 'Quit India' movement. People from all over India participated in this movement and gave up their lives for the nation. People from all over Assam participated whole heartedly in this movement. In this fervor for national pride and sacrifice, one young girl of 18 years old, stood out from the rest due to her bravery, valor, sacrifice and love for the Nation. She along with her fellow patriot got shot by the Police under British India, while trying to hoist the National Tricolor. She faced the bullets shouting ".........they can kill our bodies but not our soul..........". Her bravery inspired all those around her and they were finally successful in hoisting the National Flag in the Police Station. 1A. Name this famous Lady freedom fighter from Assam? 1B. Also Name the other martyr (standing alongside her in the statue shown) who got shot along with her? Q1. Assam has a history of association with Sikh Gurus. The first Guru of the Sikhs, Guru Nanak Dev had visited Kamrup (Assam) in 1505 as recorded in the Purantan Janam Sakhi (the historical papers related to the visits and daily recorded activities of the Guru). Guru Nanak had met Srimanta Shankardeva (the founder of the Mahapuruxiya Dharma) as the Guru travelled from Dhaka to Assam. But no sangat or historical shrine dedicated to him survives as to date. The second visit of one of their Gurus was in the year 1668. He visited a place in Assam and a Sikh Gurudwara was constructed in his memory atop the hillock place of meditation of the Guru. The grateful Ahom King invited Guruji to the Kamakhya shrine, where he was honored with great respect. Sikhs visit this place regularly as they consider it as one of their holiest shrines. 1A. Name the Sikh Guru in whose honour the Gurudwara was constructed? 1B. Name the place in Assam where this Gurdwara is located? 2A. Identify this famous Temple hillock right in the middle of the Brahmaputra River. 2B. Identify this commonly growing bush from the grass family usually found everywhere in Assam. 2C. Identify this famous Institution from Assam depicted in the Postage Stamp Issued in 2002 on its Centenary Celebration (ie. completion of 100 years). This is a festival which keep itself aside from colorful joy of life but more into bitter reality of a cultivator. This is the period of time in the year when the paddy grows in the fields and cultivators work hard and eagerly wait for a good harvest. This period also witness emptiness in the granaries of the hard working cultivators. This festival is celebrated in the evening time by lighting lamps or candles, Saaki, in various places. These saaki are lit up from house to paddy fields. In households the saaki is lit up in front of Tulsi plant. The Tulsi plant not only carries medicinal values, but also it is supposed to be very auspicious in Hinduism. The Tulsi plant is cleaned and planted on a specially designed earth platform called 'Tulsi Bheti'. It is worshiped with various prayers and prasads are distributed in the neighborhood. 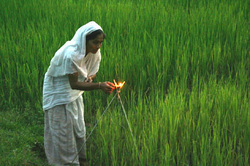 In paddy fields, there is a special type of lamp lit up which is called 'Akaxh Banti'(Sky candle). These lamps are lit up high on the tips of tall bamboo. The cultivators pray for the good health of their crops. Scientifically these lamps used to attract insects of the paddy fields and they fall prey into the fire of these lamps. This helps the crops to be healthy and free from insects. Name this festival of Assam? 2C. Identify this famous singer from the Assamese Music Industry. He died in October 1977 at the age of 34. He performed playback singing for numerous Assamese films and made a number of vinyl records and audio cassettes.